DigitalGlobe, Inc. is one of the leading Earth imagery companies providing hi-resolution imagery to government agencies, as well as the oil, insurance, and agriculture industry. 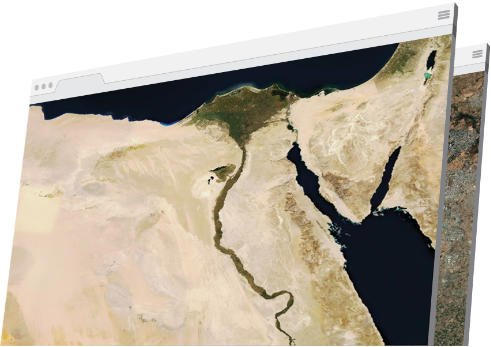 Being a proponent of a strong developer community, DigitalGlobe offers an entry level Maps API that supports most open source web mapping platforms. By leveraging Maptiks, DigitalGlobe was able to drastically reduce their bounce rate by selecting the correct map library. Though the company is well established in enterprise consistently growing, management was eager to improve Maps API usage within the developer community. Moreover, wanted insights into which areas of their Maps API were of interest to their potential customers. DigitalGlobe set out to find insights into user behaviour, optimize website funnels, and adjust marketing campaigns to target the developer customer segment. It used quantitative methods, including Maptiks web map analytics tracking to track which web maps were of most interest to web site visitors. One specifically powerful analytic tool was the heat map that showed which areas of their map potential customers were most interested in. The heat map revealed that areas such as Guayana, which has notoriously poor imagery, is of real interest to future customers. With these areas of interest, DigitalGlobe is slated to execute on much more precise imagery content updates for Maps API, as opposed to very cumbersome content-wide updates, saving them hundreds of thousands of dollars and providing users with a better product. Maptiks also helped DigitalGlobe judge which web mapping platforms are of most interest to their customers. Currently supporting Mapbox, LeafletJS and OpenLayers, DigitalGlobe was able to identify which platform web map developers use most. Backed by core activity metrics like bounce rates, activities/load, zoom, pan and time spent on map, Mapbox was identified as a clear winner. Today, DigitalGlobe can see which of its web maps have the highest conversion rate in terms of activity, allowing them to strategically target areas requiring new satellite imagery. Moreover, as a result the company now understands which web map libraries are best to highlight and support for its customers and online users, allowing them to better target their marketing efforts and provide a crisp user experience. With the help of Maptiks, DigitalGlobe is has been able to track thousands of users, identify where and how they are interacting with their product and adjust their strategy to add value to their future customers. That means happier customers and a better bottom line.